The advertising impact gives you information about how successful your advertising efforts are. Do potential customers perceive the advertised brand at all or do they only recognize the persons who are pictured on the posters? Are potential customers able to say which product was shown in the displayed advertisement afterwards? Advertisement, poster or commercial – eye tracking via webcam is very versatile. You can also use this method in different industries for a wide variety of use cases. The results of the analysis are comprehensive. Thus it can be examined how long a potential customer deals with advertising, which elements he/she considers, what he/she misses or in which order he/she fixates different elements. 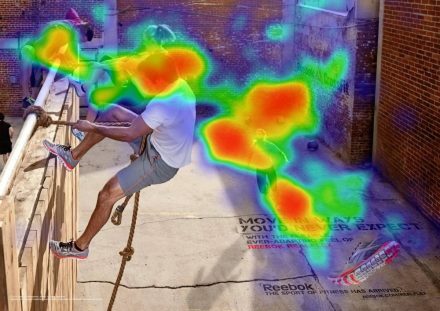 Using eye tracking shows which elements of an advertisement are considered in which order and with what duration. Thus you can get out everything of the design of your advertisement. Successful advertising campaigns attract attention among the viewers and, in the best case, trigger actions and reactions. Due to the possibilty to perform eye tracking studies via webcam, the number of subjects to be reached increases by a multiple compared to conventional eye tracking methods. Perception studies can help identify the right target groups in order to design or adjust advertising practices in a targeted manner. Do your advertisements work the way you intend? Is detected what is at stake? What does the viewing order of fixations look like? Which elements are perceived, which are not respected? 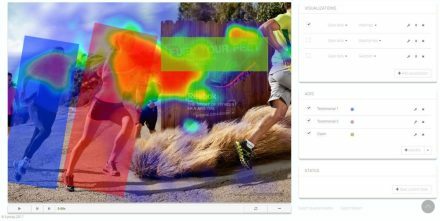 Using eye tracking studies you can easily clarify these and many other questions. Find out how your advertising campaign affects potential customers. Attract attention by uncovering weaknesses of your advertising efforts and optimizing them so that you can receive the response you want to achieve. Would you like to learn more about eye tracking and its applications? We would be glad to clarify how we can support you individually.